The State Hermitage Museum in St. Petersburg. The Russian edition of The Art Newspaper has released its annual list of Russia’s most visited museums. This year, it comes with a separate category for the most popular museums of the country’s two biggest cities, Moscow and St. Petersburg. While there were no unexpected entries this time, several newcomers have been noted. 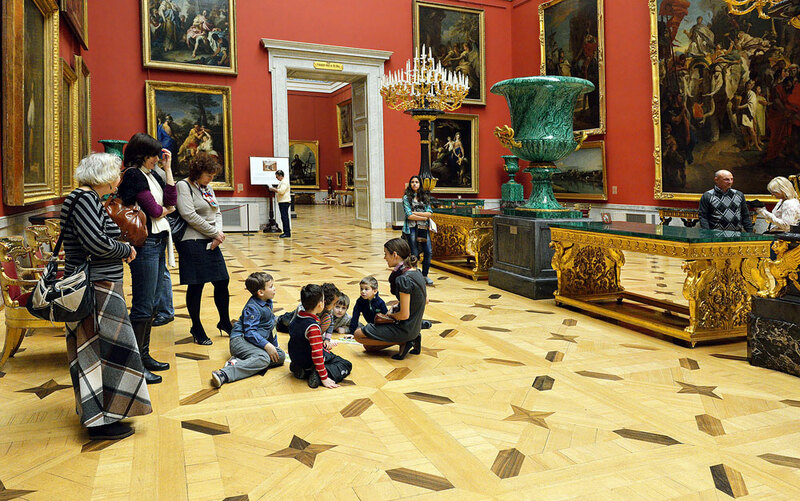 The Moscow and St. Petersburg category features 23 museums, four of them privately operated. Moscow’s Jewish & Tolerance Center makes 15th place with 210,000 visitors, despite hosting an impressive interactive exhibition by US museum design guru Ralph Appelbaum and numerous other events, including a solo project by Anish Kapoor. Dasha Zhukova’s and Roman Abramovitch’s Garage Museum of Contemporary Art, housed in a building in Moscow's Gorky Park renovated by Rem Koolhas, was named 11th (538,205 visitors). Last in the top 10 is the Multimedia Art Museum of Moscow, visited by 610,000 people in 2015 – which is a surprisingly small number, considering the efforts and international reputation of its founder, Olga Sviblova, as well as the fact that it hosts over 40 exhibitions a year. Moscow’s Pushkin State Museum of Fine Arts, which prides itself on its famous impressionist collection, was ranked 7th. This year, the former residence of Russia’s royal family and one of the largest museums in the world saw attendance increase by 300,000 people compared with 2014, despite the fact that in that year it hosted Manifesta, the European biennial of contemporary art. The museum’s high attendance is mostly due to the sheer number of landmarks it controls – the list includes the Peter and Paul Fortress, St. Petersburg Avant-garde Museum and Oreshek Fortress. Museums director Elena Gagarina believes the venues of Russia’s main fortress will attract even more visitors this year. The Museums have already launched a website in Chinese, to better benefit from the recent influx of Chinese and Korean tourists (their website was previously available only in Russian and English). Both buildings of the foremost depository of Russian art in the world, the one on Lavrushinsky Pereulok, and the second one on Krymsky Val (exhibiting works of modern art), were visited by over 1.5 million people last year. This is in no small part due to the retrospective of the ‘Russian impressionist’ Valentin Serov which made headlines in the country — the event was so popular the gallery was literally besieged by tens of thousands of people, braving the biting cold to get in. Yet another major collection of Russian art, the State Russian Museum attracts a lot of visitors thanks to its ‘museum within a museum’ gimmick – last year, it hosted the exhibition of Cologne’s Museum Ludwig featuring works by Pablo Picasso, Andy Warhol and other famous artists of the 20th century.